The artist favours watercolour for flower and nature studies and has produced countless portrait studies in watercolour, including babies and children. She sometimes combines watercolour with mixed-media, pen, and pencil, using pure watercolour for landscape compositions and more finished portraits. The compositions for the artist’s major acrylic paintings are developed through preliminary watercolour sketches. Her landscape compositions are influenced by the poetic approach of Chinese masters who capture the essence of a scene after immersing themselves in the environment. This all-encompassing perspective is in direct contrast to the limiting “snapshot” view painted at the scene. 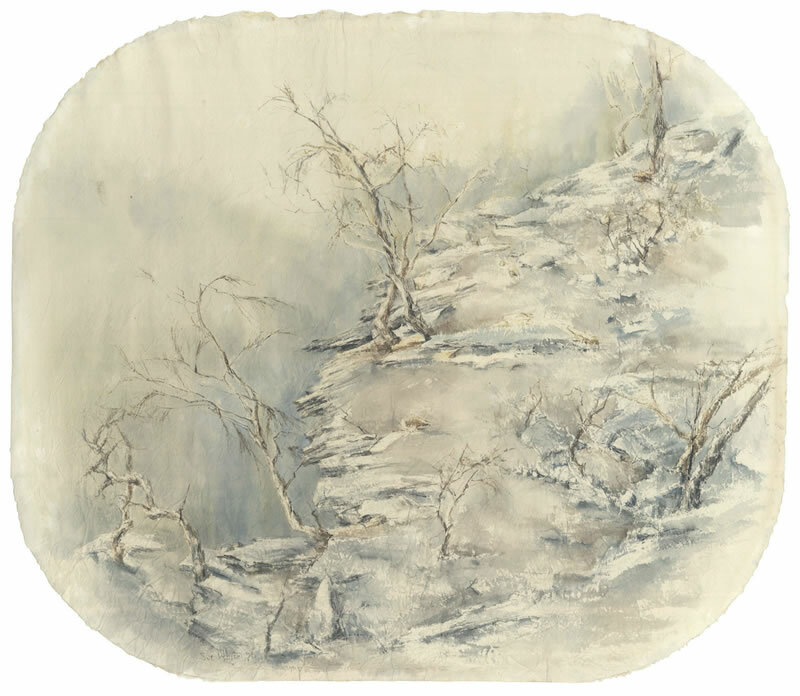 In some of her watercolour landscapes she paints on crumpled Japanese paper to create a shimmering textural effect.